When a cascaded circuit system is built with a series of two-port networks, each two-port network part in the system can be described using a Touchstone file. By importing a Touchstone file in a simulation model, two boundary selections replace the complicated geometry representation, thereby reducing the use of computational resources. Inside a Touchstone file, the frequency responses of an n-port network circuit are described in terms of S-parameters. If the Touchstone file represents a device with two ports, the values in the file represent S11, S21, S12, and S22. These values can be used to plot the frequency response of a circuit, such as the impedance mismatch or insertion loss as a function of time. The Touchstone file can also simplify arbitrarily complex circuits in a simulation model. The z-component of the electric field. Can the circuit part inside the frame be simplified? Touchstone files are collected from numerical simulations or network analyzer measurements. Without building the complicated shape of a circuit, a numerical model can still describe the performance of the circuit using the obtained file for a two-port network. A Touchstone file describes the performance of a circuit using S-parameter values as a function of frequency. 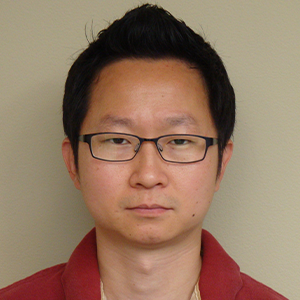 This Application Library example shows how to use a Touchstone file to reduce the computational matrix size. 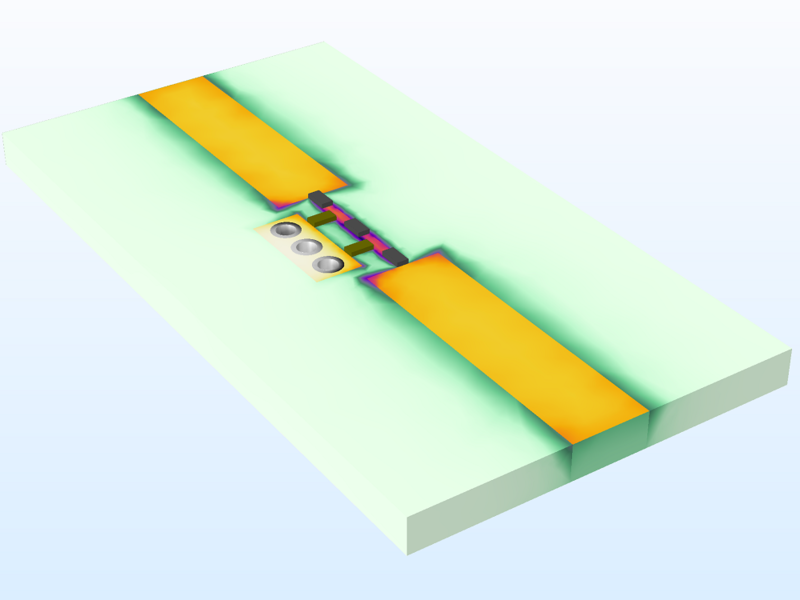 A low-pass filter between two coaxial connectors is modeled using the Two-Port Network feature (a boundary condition available in the RF Module, an add-on to the COMSOL Multiphysics® software). 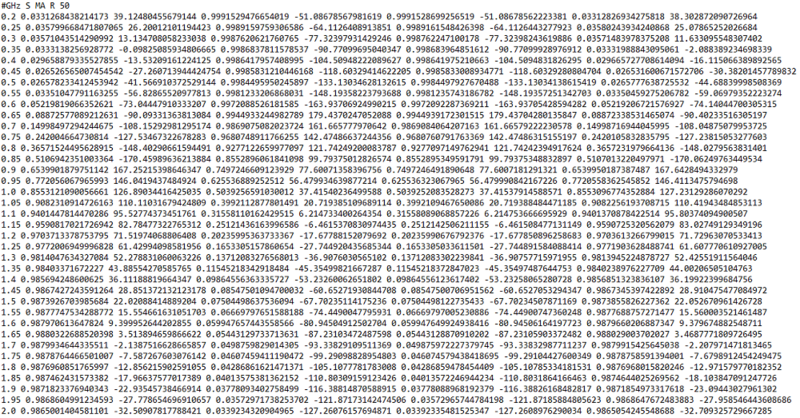 The S-parameters are imported via a Touchstone file. As presented in the original filter model, it is possible to reproduce the computed S-parameters at each end of the coaxial connector results by bridging two physically separated coaxial surfaces using the Two-Port Network feature. The model consists of only two coaxial connectors, as the circuitry between them is replaced with a two-port network. The metallic surfaces are configured using perfect electric conductors (PEC) by assuming that the loss is negligible at the operating frequencies. The space between the inner and outer conductors in the coaxial connector is filled with lossless polytetrafluoroethylene (PTFE) with a dielectric constant, εr = 2.1. Boundary selection (blue) of the two-port network feature. Each far end of the coaxial connectors is terminated with the coaxial type of a lumped port that has a 50-ohm reference characteristic impedance. The inner ends of the coaxial connectors, the remaining coaxial boundaries, are selected to insert a two-port network. 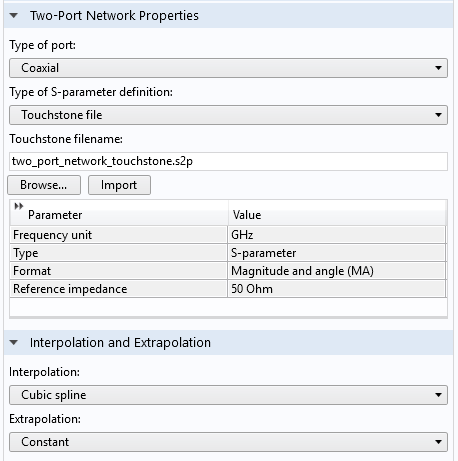 The Two-Port Network feature Settings window with the Touchstone import option. By choosing the Touchstone file for the type of S-parameter definition in the boundary condition and importing a file, frequency-dependent constraints can be mapped to the selected boundaries according to the simulated or measured S-parameter values in the Touchstone file. 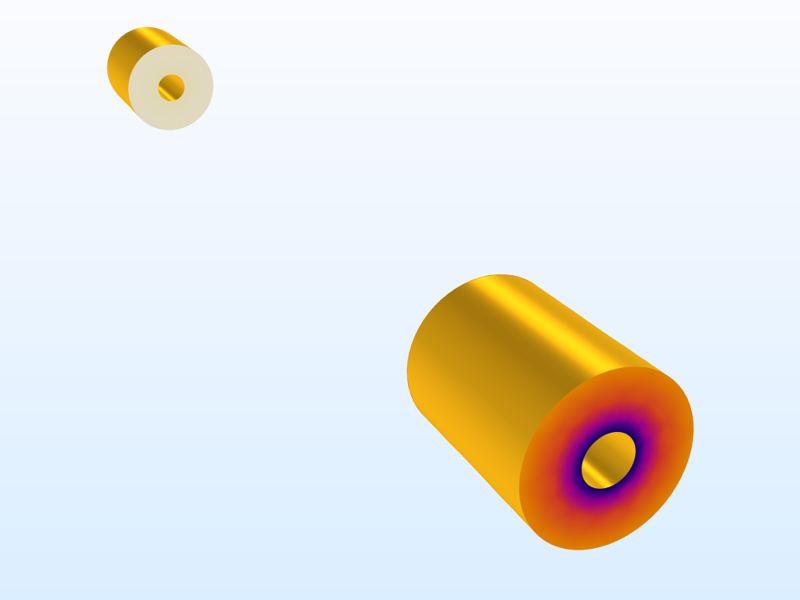 The given Touchstone file in this model is generated from the first part of A Low-Pass Filter Using Lumped Elements tutorial model, which is available in the RF Module Application Library. Lumped element low-pass filter. The Touchstone output file is exported from this model. 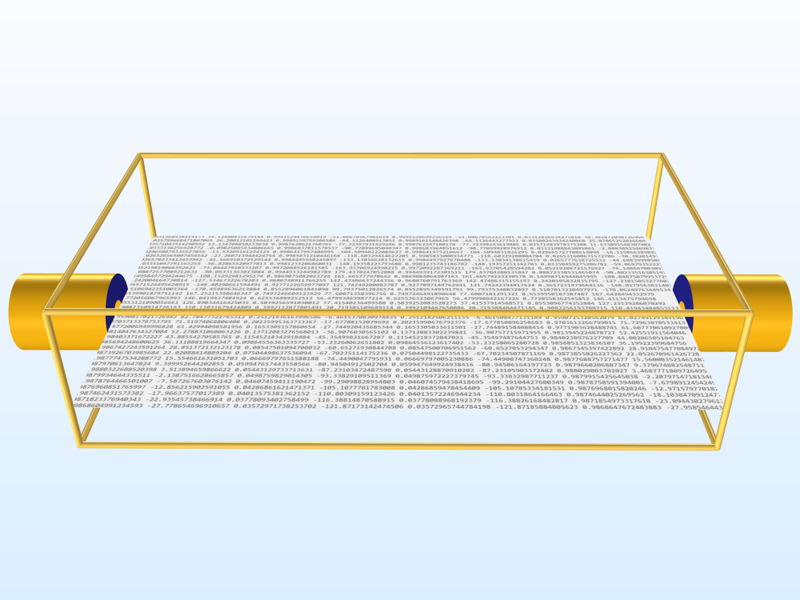 The model consists of only two connectors with the imported Touchstone file. If the frequency range of a new simulation using the Two-Port Network feature is within that of the S-parameter data in the Touchstone file, but the frequency sampling points are not exactly matched to each other, then by default, the S-parameter values are interpolated based on cubic splines. If the frequency range of the simulation is outside the bandwidth of the Touchstone file data, the S-parameters are extrapolated as a constant, using the first or last value of the Touchstone file data. The subfeatures of the two-port network define the location of ports 1 and 2. 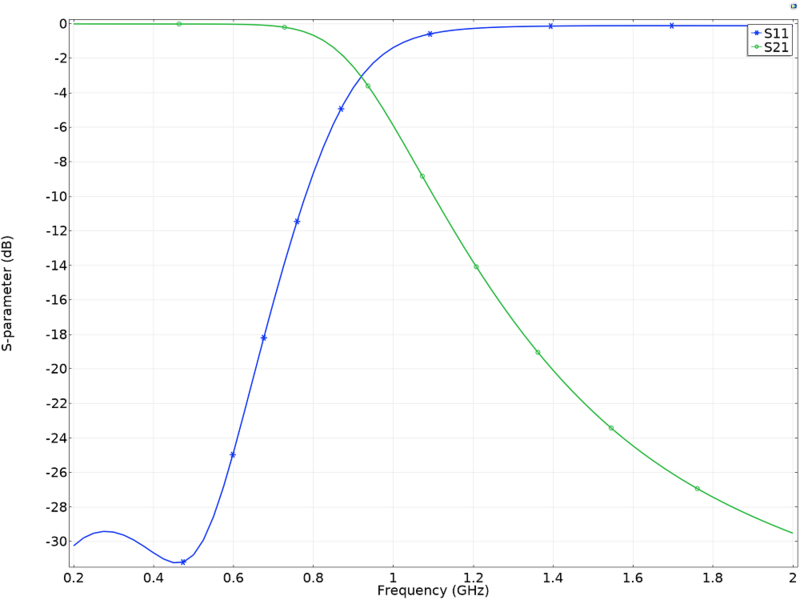 The S-parameter plot shows the identical low-pass filter response of the full model. The Two-Port Network feature is a boundary condition that can be applied on a pair of surfaces. This feature represents the frequency response of a two-port device using an imported Touchstone file or user-defined, constant S-parameters. It is used to decrease the size of a simulation model by removing undesirable geometrical complexity from the numerical modeling domain.